Rose and Chocolate great combination for a wonderful bouquet!\ 18 red roses with 12 Gold pieces of Ferrero Rocher chocolate in a bouquet. Rose and Chocolate great combination for a wonderful bouquet! 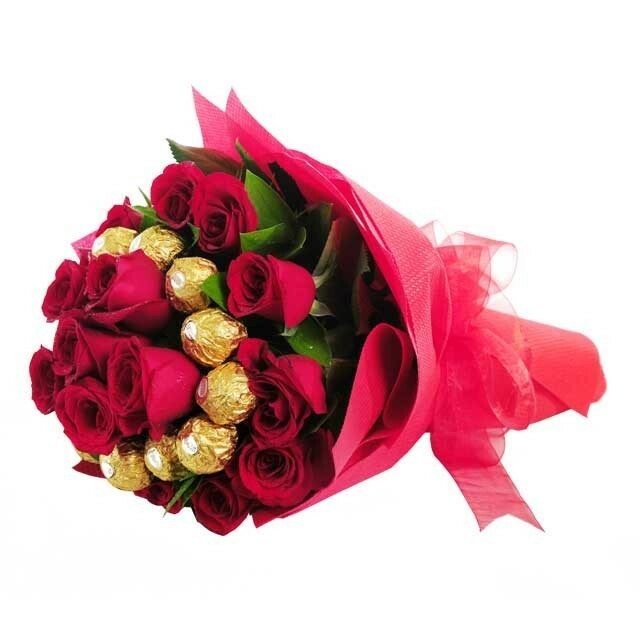 18 red roses with 12 Gold pieces of Ferrero Rocher chocolate in a bouquet. 4) Depending on area sometime we send deflated balloons if order containts it. 6) If you order which required specific time please order atleast 2-3 days in advance. © 2017 Myregalo Philippines. All Rights Reserved.